Arm Device Management : A centralized web-based console to remotely monitor devices. Easily manage and deploy IoT devices with LWM2M standard. Arm Software Update : Remote firmware/ OS/ application update on hardware helps improve device longevity and reliability. Arm End-to-end Security : Protection goes both ways on device and on the cloud. On-device security is based on TrustZone and TrustZone-M, plus TLS to ensure connection reliability. Arm Mbed Cloud offers IoT device management capability delivered as a service from the Cloud. Mbed Cloud offers the capability to securely manage “any device” on “any architecture” with “any cloud”. 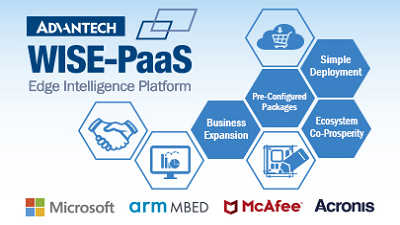 It is Arm’s first Software as a Service product aimed at OEMs. It enables them to simplify connecting, securing, provisioning and updating of devices across complex networks. This allows devices to have flexibility to work with multiple clouds. It offers coverage across Cortex-A& M, and any other device with an included flexible cloud client component. It is optimized to take advantage of the energy efficiency of the Arm architecture on constrained devices through the use of CoAP – the constrained application protocol. Efficient caching capabilities allow reduction of operating costs for networks that need sleepy devices to conserve battery life as well as frequency of communications needed. Security and trust provisioning are built in, end-to-end, and provide security for every device transaction.